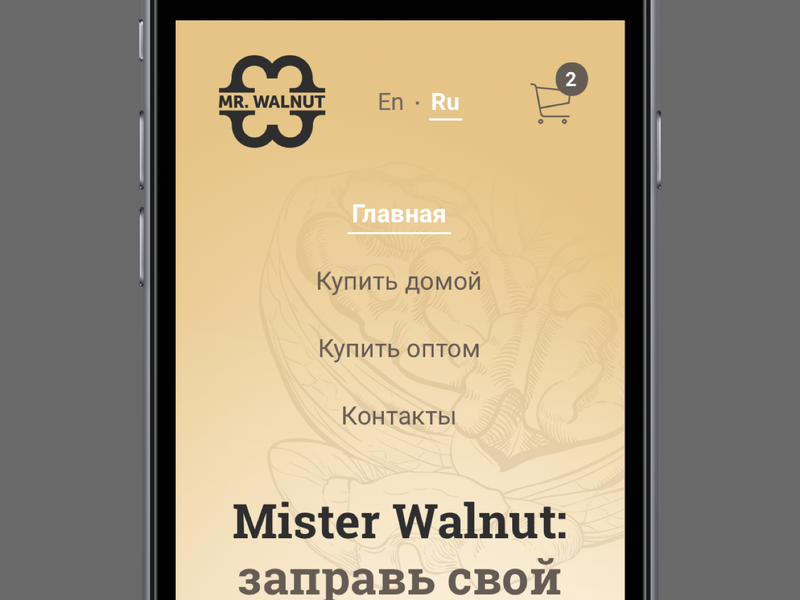 Web-shop for the company “Mr. Walnut” which is passionate to produce and sell the best walnuts. You can reach the website via the link. To create an easy to use web shop for “Mr. Walnut”. The site should be fully responsive and easy to use on mobile devices. We started from goals. So “Mr. Walnut” has basically similar products, all kind of walnuts. The company doesn't need a huge webshop, it's more informational and promotional with an opportunity to sell products. So we decided that the site should start from a promo landing page where you can find info and promotions, and then you’ll want to buy products. You can find them via action buttons or site menu. I started from prototyping. We used the dynamic prototype for user-test, and actually, we found some issues. 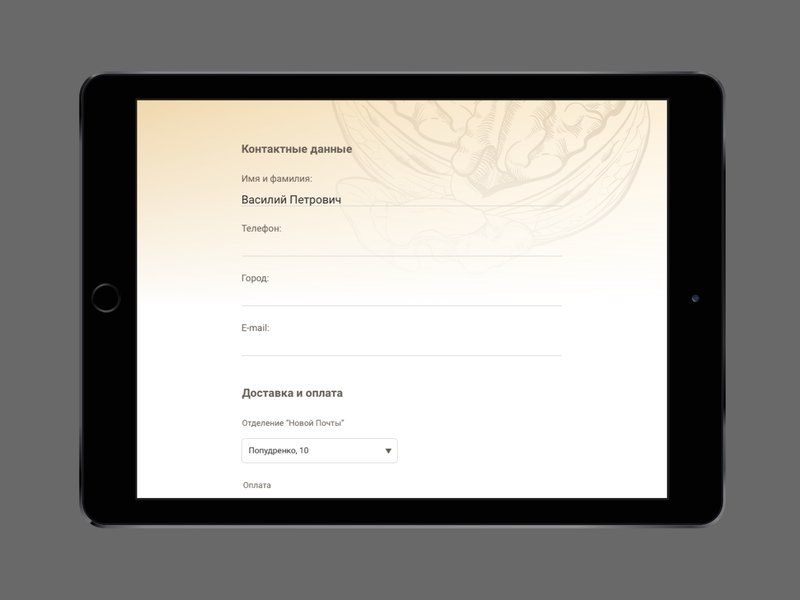 Next step is UI design of all the pages based on approved prototypes. 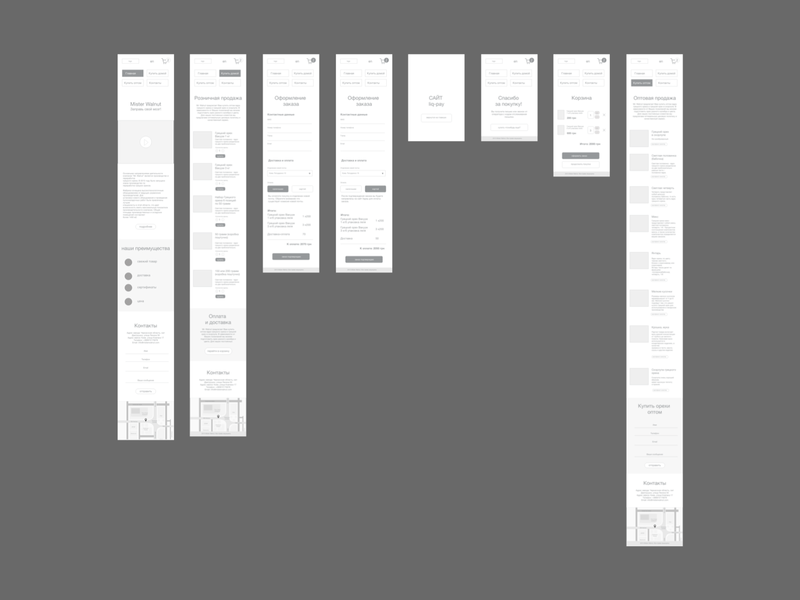 And I did another dynamic prototype in Invision, but now, from real designs. Finally, we approved all screens and they went to Zeplin. For typography, I used font combination, Roboto Slab for titles and Roboto for content. They work very well together. The choice of color was determined by the product itself, it's brown tones and red for an accent. As a result, a modern and convenient web-site. It is accessible and easy to use on all mobile devices which was also was shown by our user-tests.